Lisa Hein, Senior Director for Conservative Programs with Iowa Natural Heritage Foundation, says this grant helped complete phase one of building the infrastructure for Gunderson Nature Trail Park. Phase one included a 1/3 mile loop trail, native prairie and tree plantings, and interpretive panels. Hein adds that the completion of phase one has helped phase two begin, which included trail extension, wetland overlook, and benches. "Gunderson Nature Park has daily visits from neighbors and residents of Eldora. The Iowa Natural Heritage Foundation has hosted two events in partnership with the Eldora Elementary School and Hardin County Conservation. The Park has provided a venue to weave outdoor education and art together with young students and the local art teacher. Also, the Hardin County Naturalist has discovered a new site to bring students for a variety of environmental education activities in this part of the county," says Hein, regarding how the project has impacted the way the public interacts with the park. "The primary visionaries for this project, Bob and Mary Lou Gunderson, wanted to create a place for people to enjoy nature...we have seen 3rd graders catch pollywogs, high school students help elementary school kids creating chalk art, a mom and her kids release butterflies, and senior citizens out walking with their neighbors and grandkids. 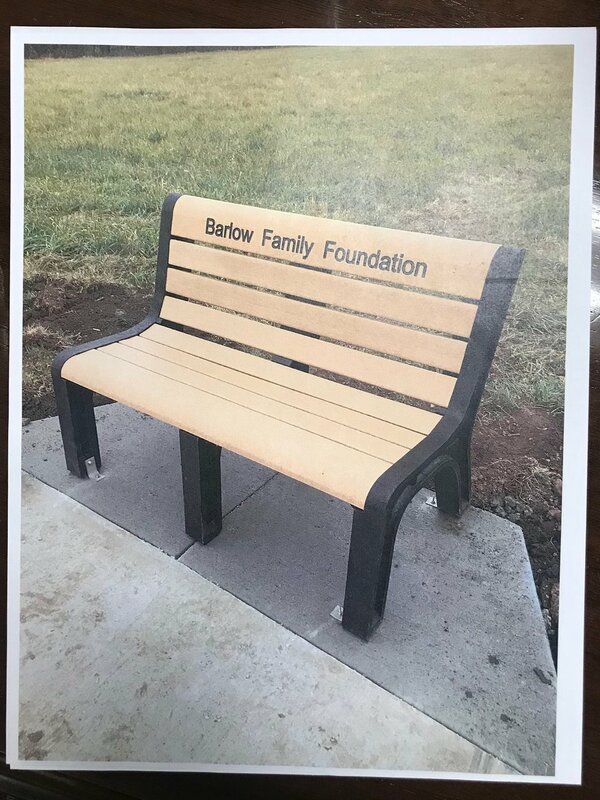 We are extremely grateful to the Barlow Family Foundation for helping us complete the vision to provide a scenic and enjoyable nature park so that all people can have the opportunity to enjoy the benefits of nature and the outdoors." This grant was used to build a new exhibition facility at the Hardin County Fairgrounds. On July 12, 2018, the facility featured the junior fair livestock. A 3-D printer was purchased for the Robert W. Barlow Memorial Library with this grant. About the printer, Library Director, Erin Andrews, says, "Our 3-D printer purchase allowed the Barlow Library to highlight a new and emerging technology that many people in the community had never been exposed to. Though our printer is on a small scale, it gives a glimpse of the possibilities of 3-D printing for everyday uses. Any time we can expose people to new ideas, we feel we have contributed to our community." As far as how the printer has changed the way the public interacts with the library, Andrews explains, "We have our 3-D printer in a public space for all to watch. The printer gets the attention of patrons, from little ones up to our senior citizens. The printer generates questions every time it is in use. We welcome the opportunity to explain how the printer works and what materials are used to make the printable objects." With the printer, they have printed 3-D animals and toys as well as provided an ... "an innovative tool for the community." This grant was used to put on a Summer Organ Recital in Iowa Falls, Iowa, in 2017. Attendance increased by 32 people compared to the previous year, reported James Hammann, Musician and Series Coordinator. They were also able to host their first international artist, said Hammann. Renato Negri, Italian organist, opened the concert series. 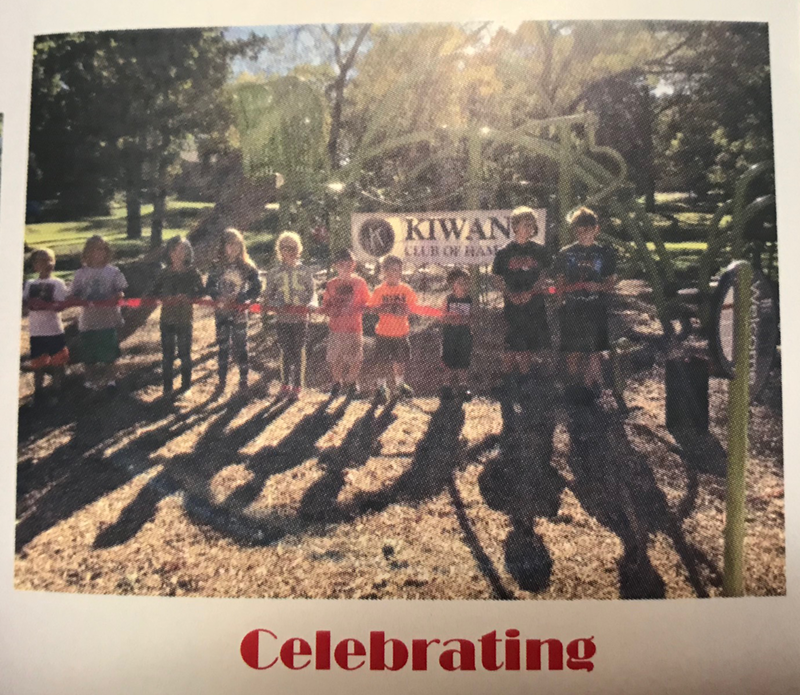 Kiwanis Club of Hampton was joined by many in the community to build a new playground with their grant. "Volunteers represented a cross-section of the community in age, businesses, organizations, and the city of Hampton," says Chairman Karen M. Schmidt. The build was completed in the short time of three days with over 50 volunteers. A ribbon cutting was held in September for those in the community. The Hardin County Sheriff's Office added Ogon, pictured above, to the team after receiving their grant. Regarding how Ogon has changed the public's lives, Sheriff Dave McDaniel says, "It has most certainly given us the ability to provide a better service to the citizens of Hardin County. The K-9 has aided in the apprehension of fleeing individuals, as well as several drug/narcotic arrests. It is another of many tools needed to provide the safest community possible." McDaniel goes on to say, "We know that having a K-9 is a great asset from a law enforcement standpoint. We also see the benefit from the support of the public. A lot of citizens were involved in achieving the goal of implementing the K-9 program. We are often asked about Ogon, and the successes he’s having, and we believe people have a real sense of ownership with him. We have a K-9 program because of the citizens of Hardin County." 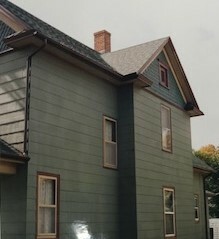 Ackley Public Library used their grant to print 16x20" winning photographs submitted to their Community Photo Contest that people ages 8 and above around the community competed in. Director, Retha Starek, said this contribution took part in "making the community a little larger..." Those who were chosen as winners had their photos displayed in the newly renovated Community Room at the library. This grant was for the purchase of six Google Expeditions kits for youth to experience "field trips" to places they likely will never be able to go. The library uses them regularly for their Tuesday and Thursday after school program. "The 3-D images really capture the attention of the kids," says Dan Gehring at the library. "They look forward to the 'field trips'. They may say when they come to the library, 'Where are we going today?' We have 'gone' to the International Space Station, New York City, the Northern Lights, the underwater Florida Keys, the Egyptian pyramids and Great Sphinx, polar bears in the Arctic, the Amazon, Petra, rock climbing in Corsica, and more. The leader of the expeditions, that's usually me. With the tablet computer, [it] does not see a 3-D image, just a regular image; but, in addition to the image, a script appears on the screen that explains about what's being seen. I'm learning a lot from these 'field trips' and so are the kids. We only have a small group for our after school programs. Right now, the 6 viewers are adequate to meet our needs. It's working out very well. The Google Expedition we do is only a few minutes. It settles the kids down and after that we move right into our main activity." Illinois Central Depot has a new 4K UHD 55” LED TV made possible by a Barlow Family Grant. The depot will be open June 29, 30 and July 4. The depot has also added the Eugene Ellsworth papers through the generosity of the Ellsworth Community College trustees.